Purchasing a new home is one of the most important milestones in your life. Unfortunately, your mortgage is also typically the loan that will last you the longest. In order to make the mortgage process easier, many people are now looking to the best online mortgage lenders to apply for mortgages online. Consumers are finding that the process can be significantly faster with online mortgage companies and the ease with which they can apply for a mortgage online. Whether you want to go the traditional brick and mortar lender route or apply for a mortgage online, you still want to search for the most favorable terms possible. Which of the online mortgage companies offer the best rates? How do you know if your online mortgage broker has the specific type of mortgage you’re interested in? When you apply for a mortgage online, you want to be certain that the online mortgage broker you’re considering has all of the terms you’re looking for. After all, you’re committing to a long-term relationship with these online mortgage companies when you apply for home loans online. How do you know which companies are the best online mortgage lenders? AdvisoryHQ wants to answer your questions regarding which online mortgage companies will best assist you with the purchase of your next home. We’ve assembled a list of the top five best online mortgage lenders to help you get started on the path to online home loans. Are Online Home Loans for You? Much like anything else done online, applying for home loans online comes with significant advantages and disadvantages. Before applying for your mortgage online, it’s important for you to understand exactly which aspects of the lending process are most valuable to you. The most significant drawback to online mortgage lenders is the lack of access to a live customer service representative who is available to you at a brick and mortar location. If you believe customer service is the most valuable thing a company must have in order to do business with you, you might find mortgage loans online to be a little bit lacking in personal experiences. Other individuals prefer the flexibility that using online mortgage lenders affords them. They save time (and money) by not having to drive to various locations for appointments and meetings. They prefer to have phone interactions or email conversations versus a face-to-face conference. The convenience of getting a mortgage online is the biggest draw for this type of person. Shopping for mortgage loans online also helps you to get a clear and quick glimpse of the rates. Getting a lower rate on your mortgage could save you thousands of dollars over the course of your fifteen- or thirty-year home loan. Online mortgage lenders can often offer the best mortgage rates and the lowest closing costs due to the lack of overhead necessary to sustain their business. In addition to receiving the best interest rates, online mortgage loans can be more efficient than the same loan from a traditional financial institution. While traditional lenders often take thirty to forty-five days for a mortgage to close, you can cut that time down to as little as fifteen days when you get home loans online. This can make your offer on a new home more appealing and competitive with potential all-cash offers on the same property. There are a few definite advantages to using online mortgage lenders for your next home purchase. By saving time and money, you come out ahead financially — if you’re willing to sacrifice the one-on-one attention provided by a traditional bank or mortgage broker. Below, please find a detailed review of each online mortgage broker on our list of best online mortgage lenders. We have highlighted some of the factors that allowed these online mortgage companies to score so high in our selection ranking. In 2014, the Consumer Finance Protection Bureau found Amerisave to be giving consumers the bait-and-switch by promising misleading interest rates and illegally overcharging for third-party services. They were ordered to pay a cumulative $19.3 million in fines, including a $14.8 million consumer refund. However, since that time, Amerisave has worked to revamp their reputation as an online mortgage broker, attempting to make the online mortgage application process as smooth as possible. Many consumers are now very satisfied with the agents they are assigned to and the fees they are charged for the services provided to arrange their home loan online. Below is a brief overview of the contributing factors that placed Amerisave on our list of the top online mortgage companies for online home loans. Amerisave offers an abundant selection of mortgage loans online across 49 states and the District of Columbia. They cover single family homes, condos, second homes, investment properties, and multi-unit properties. A mortgage rate quote takes less than one minute to complete with only a total of seven questions required. They will compile your projected rates for 30-year, 15-year, FHA, VA, or USDA online home loans among others. A popular question among many consumers relates to the minimum credit score that you will need to apply for a mortgage online. Amerisave requests a minimum credit score of 620 for their conventional choices for a mortgage online. However, the FHA, VA, and USDA online home loans offer a little more flexibility, with a minimum credit score of 600 in order to qualify. Regardless of what sort of situation or home loan works best for you, the process is promised to be quick because of the in-house work that Amerisave does on each individual loan. While some online mortgage companies are similar to referral sites that sell your mortgage to a third-party lender, Amerisave does the work themselves. They process, underwrite, close, and fund all of their online mortgage loans to make your experience quicker and more convenient. Processing time frames can vary depending on which type of mortgage online you opt to apply for. However, the process usually ranges from 14-60 days in length, depending on the complexity of your unique situation. After you apply for a mortgage online and lock in your rates, your information is assigned to a loan officer who walks through the rest of the process alongside you. While you do sacrifice some of the personal experience of brick and mortar locations when you use online mortgage lenders, Amerisave adds something of a personal experience back into the mix. Unlike some online mortgage companies, Amerisave does not request any up-front fees, except for the appraisal fee. While this is not due at the time of application, it must be paid for prior to locking in the interest rate you were quoted. Paying for an appraisal is an expected cost in the process of closing on any home loan, but because you are paying the fee up front, you will not pay for it at the time of closing. Having issued $23 billion in mortgage loans online in 2016 and boasting a 95 percent customer satisfaction rating, Guaranteed Rate is listed as a top ten largest retail mortgage lender in the United States. Headquartered in Chicago, Guaranteed Rate was the top independent mortgage lender in their city just three short years after opening their virtual doors. Guaranteed Rate especially appeals to those individuals who love the convenience that online mortgage companies can offer. With their entirely digital process, you never have to speak to a customer service representative to be approved for a mortgage online. 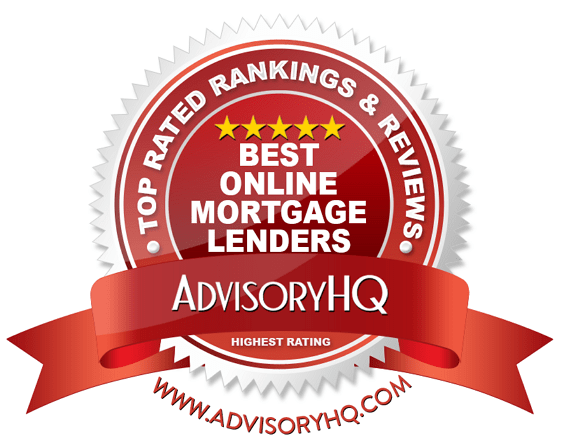 Wondering how Guaranteed Rate landed on AdvisoryHQ’s list of the best online mortgage lenders? 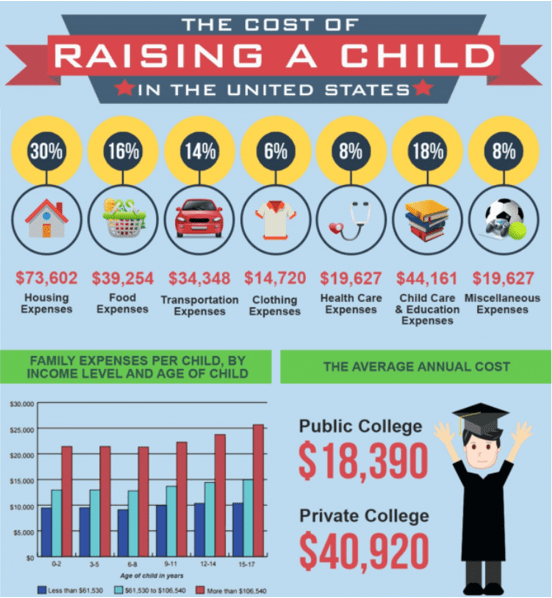 Keep reading to see which contributing factors were the most significant. The rates for the various mortgage loans online show side-by-side with other brick and mortar and online mortgage companies for you to compare. They even demonstrate the points in money and fees associated with the online mortgage companies versus their own services. Guaranteed Rate feels confident that their own interest rates are going to be some of the lowest around. Their listed requirements to secure a mortgage online is a minimum credit score of 620 for their conventional products and a minimum credit score of 580 for FHA loans (could be higher depending on your state’s requirements). They also suggest a 5 to 10 percent down payment on conforming loans (10 to 15 percent for jumbo loans). At Guaranteed Rate, they attempt to make your process to apply for a mortgage online as quick and painless as possible. It can take as little as fifteen minutes to walk through the application process and check it off of your to-do list. It is likely that your loan through Guaranteed Rate will be sold on the secondary market. This is not an uncommon situation when it comes to taking out mortgage loans online or in person. It is just something to be aware of as a consumer. While it is difficult to find specific information on all rates and fees, Guaranteed Rate may charge an application fee (Nerd Wallet lists the application fee as $150). While some online mortgage lenders do require this fee upfront, many do not. If you aren’t positive you would choose Guaranteed Rate as your lender upon approval, it might be best to save your money and apply elsewhere. Lending Tree is one of the most well-known names in online mortgage lenders because of its heavily advertised name brand. Unfortunately, what many consumers don’t realize is that LendingTree is more of a marketplace than an actual lender. LendingTree allows you to request a pair-up with potential online mortgage lenders for online home loans, but they also offer home equity loans, auto loans, and personal loans. Why opt to use LendingTree in place of other online mortgage lenders? The reason is simple: you can compare other offers from additional online mortgage companies quickly and easily after seeing which of their lenders has programs you would qualify for. While LendingTree may not be a lender in and of itself, take a look at these reasons that it made it onto our list of the best online mortgage lenders. Because LendingTree works with a number of other online mortgage companies, the types of online home loans that it is able to offer is abundant. For example, you can apply for conventional mortgages (15-year or 30-year), jumbo loans, FHA loans, VA loans, construction loans, and second mortgages. The plethora of products offered by LendingTree’s list of providers can give you the option of low down payment mortgages, low interest rates, and various turnaround times. You will find that the process to apply for a mortgage online on LendingTree is pretty quick and painless. They claim that the process should only take approximately ten minutes to complete, start to finish. The information you fill out with LendingTree will allow you to be matched with a potential lender or list of lenders. From this point, you will then need to apply for a mortgage online with one of these other online mortgage companies. While the LendingTree loan request form is free, your application with the third-party online mortgage lenders available through their network may not be. As a result, your application fees may vary depending on which lender you are matched with and where you need to complete your online mortgage application. Of course, the same information applies to any closing fees required by your lender. The online mortgage companies that will manage your mortgage online are responsible for setting up and charging their own set of associated fees. LendingTree will only match you with one of these companies; any further fees set out by the company will be at their discretion. Overall, the services that LendingTree provides make it easy for potential homeowners to complete an online mortgage application. By pulling your credit report and matching you with a list of online mortgage lenders, you will have a great starting point. However, it will then require additional research of each potential match to determine which company may be the best fit for your online mortgage loans. A new startup to help individuals and families procure a home loan online, Sebonic Financial is associated with the Cardinal Financial Company Limited Partnership, which has been in business since 1987. Based out of Charlotte, North Carolina, this company claims that their technological advances allow them to give consumers a lower cost, more efficient home loan online, and a simpler process with more frequent updates. See below for the contributing factors that allowed Sebonic Financial to rank as one of the best online mortgage lenders on the market today. Your online mortgage application with Sebonic Financial requires much less time than what some of the other best online mortgage lenders require. While some, such as Guaranteed Rate, require approximately ten to fifteen minutes of your time, your free custom rate quote can be completed within seconds, as advertised by Sebonic. This does not take into account an online mortgage application, which may be longer. When you apply for a mortgage online, you will mark which loan option best fits your needs and the amount. However, Sebonic won’t hold you to it, allowing you make changes to your home loan online and promising a seamless process. You can purchase a single family home, multi-family unit, condo, or a townhome with their financing. It does take a few minutes to obtain a rate quote, with several questions not required from other online mortgage lenders. However, you do have another nice selection of fixed-rate and adjustable-rate mortgage products to choose from for your home loan online. The option to submit an online mortgage application is not readily apparent. Instead, the website consistently redirects you to their customer service phone number so they can assist you in walking through the application process and understanding your mortgage options. However, after your initial application is completed, it seems that it should roll along much smoother if you prefer all online communication. You have the option to print, sign, scan, and email documents back or to e-sign them so you can do away with paper trails. Many individuals opt to go with online mortgage lenders because of the convenience of completing all of the necessary information without any one-on-one interaction required. Sebonic Financial has great consumer reviews from reputable sources but doesn’t offer much in the way of transparency on their website. In fact, while the website is aesthetically pleasing to navigate throught, Sebonic continuously prompts you to submit an online form to have a representative contact you. If you like the idea of processing your mortgage online with the additional service of speaking to a live representative, then Sebonic Financial may be a great match for you. However, if you were opting for an online mortgage broker that didn’t require this, you might be disappointed with the services they offer overall. Quicken Loans can boast over two million online mortgage loans closed — quite a track record when it comes to online mortgage lenders. J.D. Power and Associates named them first in their class for the highest customer satisfaction for primary mortgage origination seven years running. As a matter of fact, they were labeled as the largest online mortgage lender (not an online mortgage broker) by National Mortgage News. But what is it about this company that makes them ideal for online mortgage loans? Here are a few of the most important deciding factors that allow AdvisoryHQ to place it on our list of the best online mortgage lenders. As with the other online mortgage lenders, you have quite a few choices when it comes time to apply for a mortgage online. You can choose from adjustable-rate and fixed-rate terms (even giving you the option of choosing your own loan term), FHA loans, VA loans, jumbo loans, or reverse mortgages and refinancing. You have several options for how to apply for a mortgage online with Quicken Loans. You can opt for a live chat or email, but you can also call in to their customer service line to speak with a live person. This will match you with a loan expert who will guide you through the rest of the process. The application process to get pre-qualified or pre-approved is free and provides you with up to six loan options to match your needs. In order to help you find the best mortgage loans online, they want to give you choices, but a customer service representative can also help to assemble a custom option for you. Being assigned to a single person who can answer your questions makes it easier to feel like you’re getting better customer service than a company that works primarily online. This makes it a little easier for consumers who love the idea of online mortgage lenders but still prefer brick and mortar locations because of the level of face-to-face interaction. From the time you complete your online mortgage application, thirty days or less is likely the window to closing with Quicken Loans. They are not an online mortgage broker that can possibly sell the loan to a third-party company. Instead, they fund and process your loan directly. 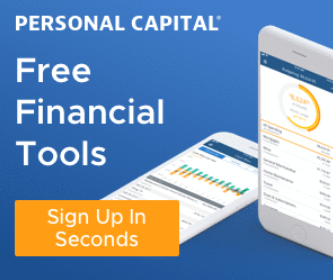 If you pay your Quicken Loans deposit but your application is ultimately denied or you decide to use one of the other best online mortgage lenders, your deposit is partially refundable. Any amount that has already been spent (for example, on pulling your credit report or your appraisal) is no longer refundable, but you will receive the difference back. If you think you may want to apply for a mortgage online, this comprehensive and detailed review of the best online mortgage lenders should help making the decision about which company to choose a little easier. You will be stuck with your mortgage for quite some time, possibly for up to thirty years, so it’s important to choose online mortgage companies or an online mortgage broker that can meet your expectations in the here and now and for the future. Before you fill out an online mortgage application, consider the rates, the terms, and the level of customer service that each company can provide. Based on your own personal preferences or communication abilities, certain companies may not be a good match for your online home loans. Others may require too much money upfront for you to feel comfortable with their mortgage loans online. No matter what your personal preferences are, these top five best online mortgage lenders can meet a variety of needs. Whether you need a conventional mortgage product or something a little out of the norm, one of these online mortgage lenders is sure to provide you with a home loan online that you can be happy with for the long-haul.